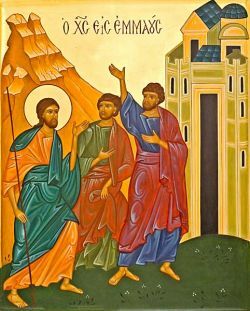 Brother, sister, it is not for yourself that you have come to this community, but for your brothers and sisters in the church and in the world. The element of mission belongs to every function of the church, and you will express this element of your vocation in your relationships with those who do not believe in Christ. The community is not an end in itself: it is called to go forth into the world to proclaim the good news of the Gospel. The life of the community should be pervaded by this understanding of its mission. To carry out this mission, the community may decide to create fraternities. Like the disciples of Christ sent out two by two, the brothers and sisters living in fraternities are a sign of the person and message of Christ. Brother, sister, you belong to a particular Christian church. You have not come to the community with the intention of re-designing a church according to your own ideas: you belong to Christ through the church which generated you as a Christian in baptism. For this reason you will recognize and appreciate its ministers and leaders in their diversity, and you will always seek to be a sign of unity. Beware of criticizing the church with bitterness, with pettiness, without love. You will be tempted many times to do it. But look first at the life of the community: do you not see in it just as many deficiencies as you see in the church? No one at Bose is inclined to speak about a separation from the world (what the community does seek to separate itself from is worldliness and the idols that can be also be found in a monastery! ), and the community has even less reason to consider or practice a fuga ecclesiae. The community finds its roots in the local church in which the Lord has placed it and carries out a typically ecclesiastical ministry, both within its own diocese and in other local churches: preaching, spiritual retreats, and the publication of Biblical studies, books and articles on spirituality, and texts from the Jewish and patristic traditions. In an effort to listen to, understand and serve other churches, the community has organized each year since 1993 an International Ecumenical Conference on Orthodox spirituality. 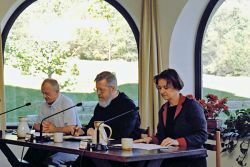 This conference takes place at Bose every September and offers Orthodox and other Christian scholars a possibility to meet one another and seek a deeper communion among the churches through an exploration of the spiritual treasures of their respective traditions. In a similar spirit, in 1996 the community began to plan a series of Conferences on Protestant spirituality, in collaboration with the Protestant universities of Neuchâtel and Strasbourg. Since 1994, when a reflection on the eucharistic celebration after the second Vatican Council took place at Bose, the community organizes a series of International Ecumenical Conferences on liturgy. In 1998, then, a series of International Conferences on spirituality was started.